Above the Law, The 2016 U.S. News Law School Rankings Are Here! David Bernstein (George Mason), U.C. 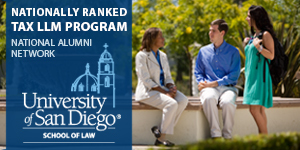 Irvine Law School Didn’t Make the Top 20: What Went Wrong? Al Brophy (North Carolina), Is U.S. News Still Relevant? Michael Risch (Villanova), Do Employers Actually Look at U.S. News Rankings? David Yellen (Dean, Loyola-Chicago), Is the Influence of U.S. News Declining? The University of California, Irvine School of Law opened in 2009 with big ambitions—founding dean Erwin Chemerinsky aimed to debut among the Top 20 on the U.S. News and World Report ranking of law schools once it became eligible. Administrators initially planned to gradually increase enrollment each year with a goal of matriculating close to 200 students by 2019. Instead, amid declining enrollment national, this year they cut the entering class by nearly 30 percent, from 126 students to 89, according the ABA. That allowed U.C. Irvine to achieve a more academically selective student body; the U.S. News formula heavily weights undergraduate grades and LSAT scores of entering students. 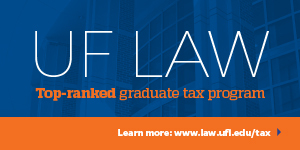 The rankings take into account assessments by legal educators, practicing attorneys and judges. U.C. Irvine drew the largest gap in these peer-assessment scores among the Top 40 schools—practitioners rated U.C. Irvine at 3.6 and other legal academics at 3 on a five-point scale. For the 2016 edition of the Best Law Schools rankings, U.S. News has changed its methodology so that law schools receive less credit for employing their own new graduates. Starting with this year's rankings, law schools with large percentages of graduates who hold jobs funded by the law school or university typically will rank lower than they would have if those jobs had been at law firms or in government. For new J.D. graduates, being employed by their law school or holding a university-funded job is less desirable than being employed more permanently in a law firm, in government or in a corporation. According to a recent report by the American Bar Association, jobs funded by the law school or university tend to be temporary, where "the graduate is not committed to the job even for the full year, but rather is free to take a more attractive job if one appears (and this is the outcome that the school and the student hope will occur)." The ABA is therefore considering enacting new reporting standards to clearly distinguish school-funded jobs from other types of jobs so that prospective students are aware of the difference. Still, U.S. News believes that these law-school-funded positions have some value, since being employed in a law-related job is preferable for new graduates than not working in the legal field or being unemployed. Therefore, these jobs will still be partially factored into the rankings. In the U.S. News Best Law Schools ranking methodology, employment success is an important factor, making up 18 percent of the overall ranking. It's determined by calculating employment rates for graduates at graduation, which count for 4 percent of the overall ranking, and at nine months after graduation, which count for 14 percent. For this calculation, the most credit is given for graduates who had a full-time job lasting at least a year for which bar passage was required or a J.D. degree was an advantage. Starting with this year's rankings, which use data from the 2013 graduating class, U.S. News discounted the value of these types of jobs in cases where the job was funded by the law school or the university. In last year's rankings, these jobs had been fully weighted in the ranking calculations. For the 2016 rankings, full weight was only given for 2013 graduates who had full-time jobs not funded by the law school or the university that lasted at least a year and for which bar passage was required or a J.D. degree was an advantage. 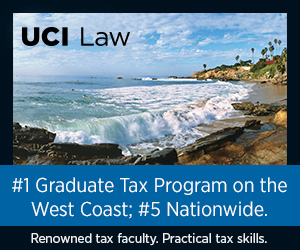 Many experts in legal education consider these the most highly desirable jobs for new graduates. In addition, all other types of law-school-funded and university-funded jobs were discounted more than in previous rankings. U.S. News already gave less weight to full-time, long-term jobs that are professional or nonprofessional and do not require bar passage; to pursuit of an additional advanced degree; and to positions whose start dates were deferred. The lowest weight applies to jobs categorized as both part-time and short-term and those jobs for which a law school was unable to determine length of employment or whether they were full time. In recent years, enhanced ABA reporting rules have led to a great deal more information becoming available from law schools about the many types of positions students take after they graduate. Schools now report to U.S. News how many of their most recent graduates had various types of jobs lined up by nine months after graduation. As a result of these more detailed jobs data becoming available, U.S. News was able to determine which law schools or universities are hiring their own graduates. The Economist wrote in 2014 that the practice has become more common since the economic recession. "Some law schools have long given aid to a few alumni who forsake high-paying corporate firms to pursue public-interest law," the newsweekly wrote. "But since the 2008-09 recession, entry-level jobs at big firms have been scarce. This has led to a big expansion of 'bridge to practice' schemes, in which the schools pay graduates a stipend to do a work placement." Keep in mind that some of these school-funded jobs are highly sought-after, competitive fellowships or permanent legal teaching jobs. They weren't created as a means to help alumni in a tough legal job market to get work experience and potential permanent jobs at firms or in the government sector. Unfortunately, due to the information currently available, we do not distinguish among these different types of school- or university-funded jobs. Just how prevalent are these jobs and what proportions of jobs are funded by law schools or universities? There are a lot of schools that hire their graduates, but only a few employ large proportions. The table below shows that only 15 schools in the U.S. News rankings had 8 percent or more of their 2013 graduates in jobs funded by the law school or the university, when counted as a proportion of all graduates in full-time jobs lasting at least a year for which bar passage was required or a J.D. degree was an advantage. However, in total, 75 law schools had 1 percent or more of their graduates in these types of jobs employed by the law school or university. Not included on this list but worth noting are Northeastern University in Massachusetts; New York's Fordham University; Washington and Lee University in Virginia; and the CUNY School of Law. All of these schools had more than 10 percent of their total 2013 graduates in law-school-funded or university-funded jobs. However, these weren't full-time jobs lasting at least a year for which bar passage was required or a J.D. degree was an advantage, but were instead school-funded jobs of some other duration. Wake Forest dropped 16 places -- should have been on your list. Like the fellow said in The Departed, pride cometh before the fall. LOL at UC Erwin Law School and the hubris of Irving Chemerinsky. Not even as highly ranked as BU, whose unemployed graduates people a good plurality of any of the young lawyer networking events in and around Boston. FWIW CUNY's public service oriented mission makes it difficult to grade and compare to other law schools -- at least IMO.